Sepia-toned image of a large display of farm and canned goods. Milk, grains, produce, canned fruit fill a display area, with the grains fastened to the back wall and along the sides, and the other goods stacked around the area. 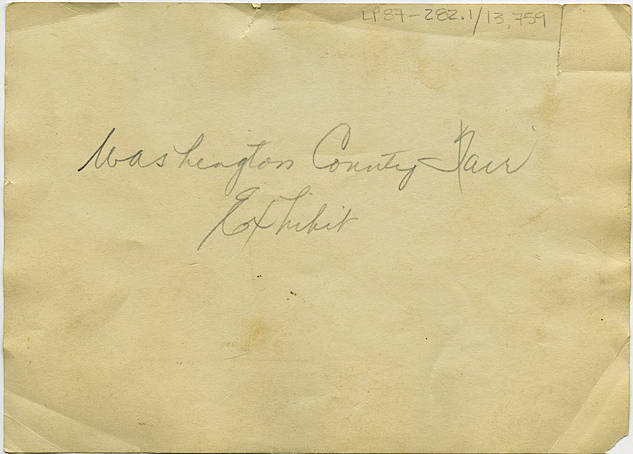 A sign at the top center of the back wall reads, 'Washington County, the Land of Plenty.' 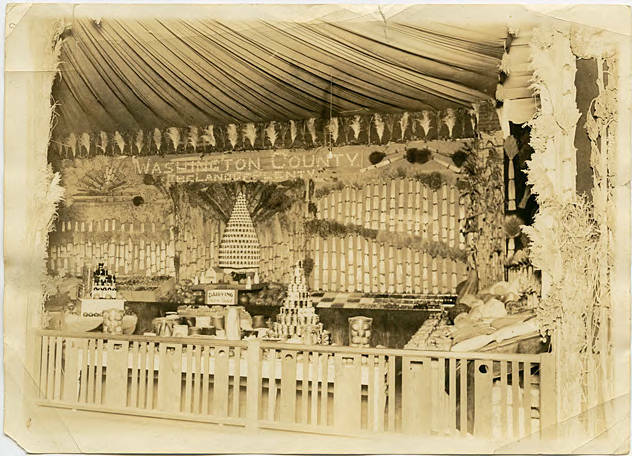 Though this is billed as a 'Washington County Fair Exhibit,' it is just as likely to be an exhibit for a larger expo, possibly the World's Fair of 1905, which was held in Portland and celebrated the 100th anniversary of the voyage of Lewis and Clark down the Columbia. [back] [pencil] Washington County Fair Exhibit.